30 April 2018 – On 5 May 2018, a delegation of scientists from the Royal Observatory of Belgium (ROB) will attend to the launch of InSight, a NASA mission to Mars. 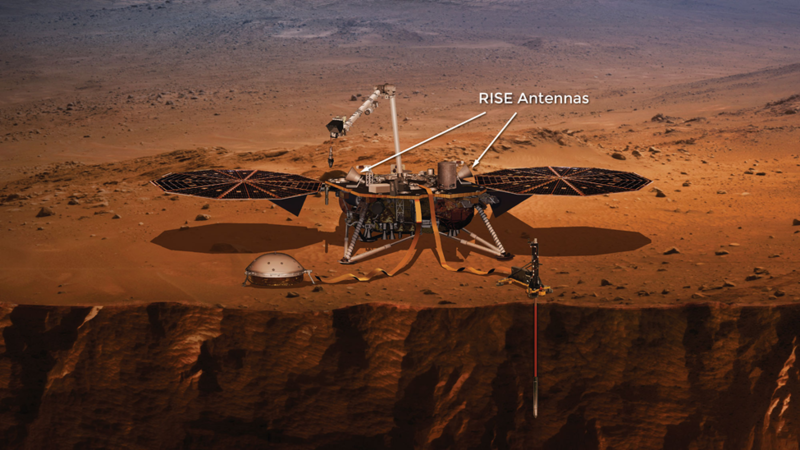 Artist’s view of the InSight Lander. Credit: NASA/JPL.